The Caribbean’s versatile and profoundly flavorful culinary scenes are renowned for their ocean and farm-fresh ingredients, stimulating spices, and unique historical influences. 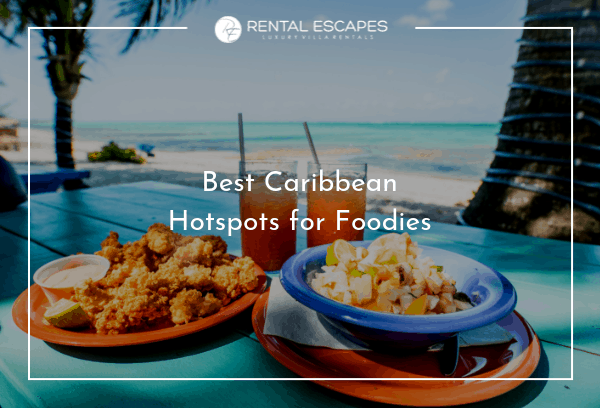 Whether you’re a self-proclaimed foodie or simply enjoy great food, book your next luxury vacation rental at one of the following Caribbean hotspots! Anguilla has 100+ restaurants serving a variety of Caribbean and international cuisines, and featuring emerging and established chefs. The island is also known for its renowned wine cellars. Traditional island fare is influenced by native Caribbean, Spanish, French, English and African culture, and fresh, mouthwatering local seafood is the most consistent theme across all of these. Popular Blanchards Restaurant uses organic ingredients whenever possible, and ocean-facing Cobà serves up salt fish croquettes and char-grilled octopus—for starters. One of the best things about St. Barts is the quality and variety of food available in stores. The island is also known for its upscale restaurants and world-class chefs, of course. The annual Saint Barth Gourmet Festival runs from Nov. 1-4 this year and will showcase the island’s famous French cuisine. 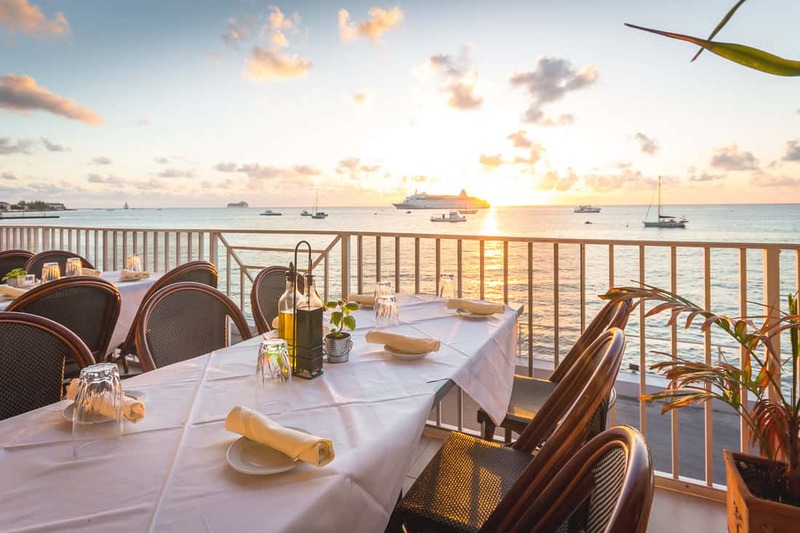 Restaurant-wise, visitors frequent Tamarin St Barth for artisanal pasta, and a variety of fish and meat dishes, while Eddy’s is popular for French cooking with Creole influences—as well as its romantic location in a tropical garden. From deep-fried dumplings and fresh cracked conch to mudslide cocktails, cassava cake, and stewed turtle, the Cayman Islands offer your palate the experience of a lifetime. There are 200+ incredible restaurants and eateries, many of them led by renowned international chefs. Popular among foodies is Le Vele, an Italian waterfront restaurant offering fresh seafood and homemade pasta with an island twist. Insatiable eaters can register for the Camana Bay Flavour Tour, which stops at three signature restaurants for your taste-testing pleasure. The Barbados Food and Rum Festival happens each fall, and boasts a tantalizing mix of American, European, and Asian influences. Travelers would also do well to check out the weekly fish fry at Oistins, where unparalleled fish dishes are abundantly available, as are famous local side dishes like macaroni pie. 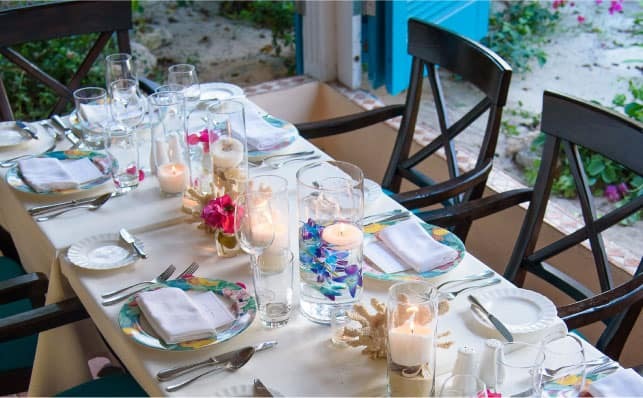 Romantic stronghold Champers offers an open, lantern-lit terrace overlooking the Caribbean Sea. And My Friends Place is a casual alternative, famous for its laid-back vibe and seafood specialties. St. Martin‘s French and Dutch sides, in addition to the island’s strong African heritage, make it what many consider to be the culinary capital of the Caribbean. French fare is prevalent, even on the Dutch side, and most dishes also have that perfect touch of Creole spice. Foodies should head for Grand Case, for exceptional restaurants. 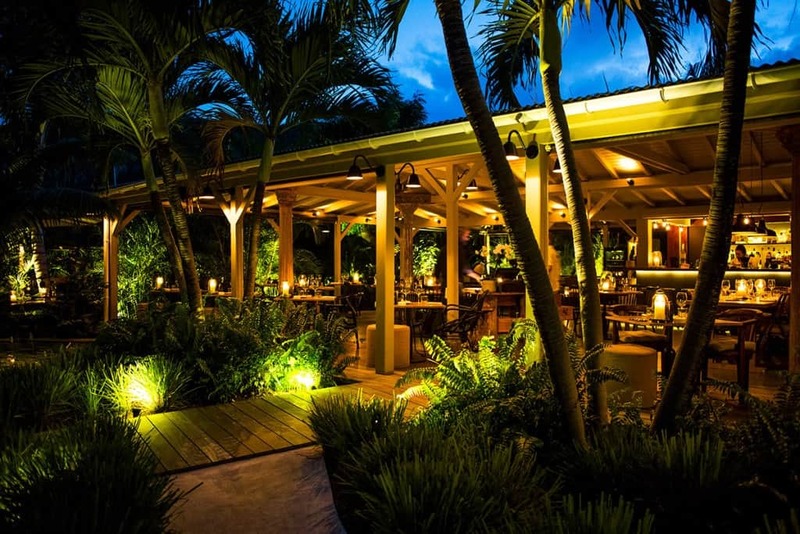 Taste the lobster at Ocean 82 from a covered terrace overlooking the ocean, or go to Le Pressoir (located in a traditional Creole wooden house), for award-winning French cuisine with a tropical twist. Book your luxury villa in any one of our exciting Caribbean destinations today to start your tastebuds on an unforgettable journey.